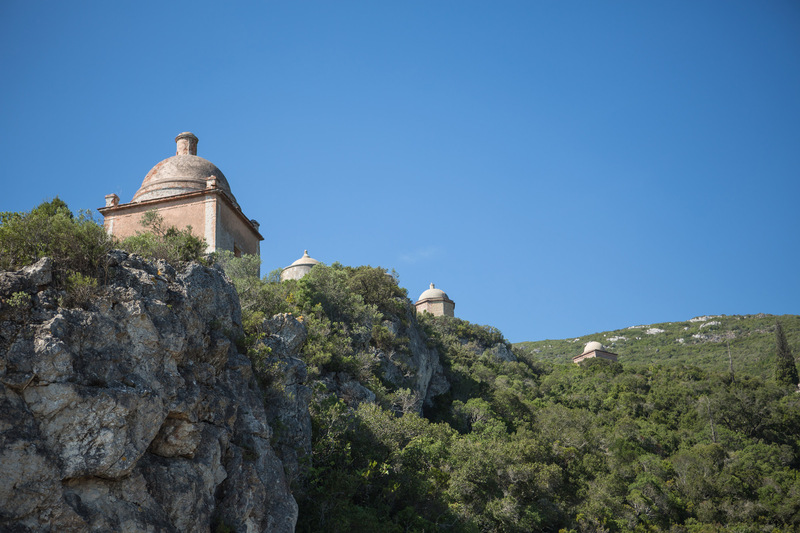 The Old Monastery of Arrábida, which stands at the highest point of the Arrábida hills, consists of four chapels, the series of shrines on the mystery of Christ’s Passion and some cells hewn out of the rocks. 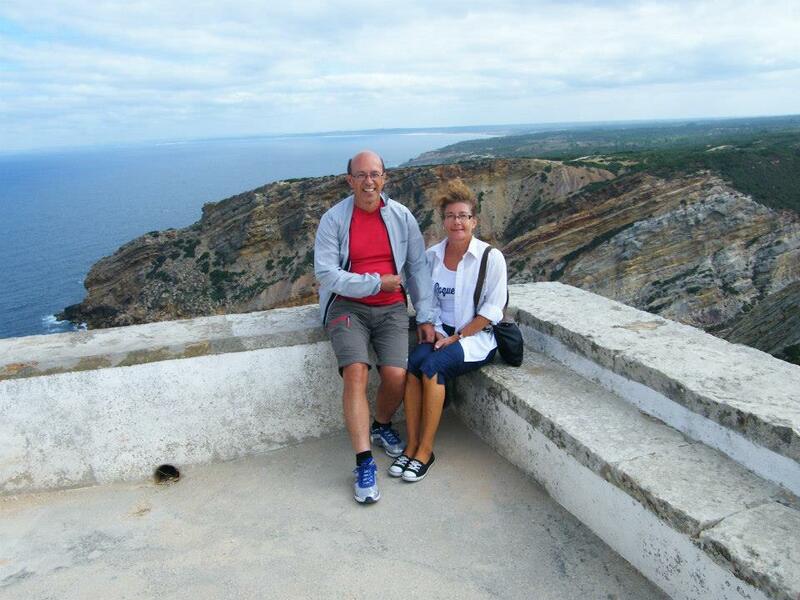 Mr. Robert Teo and Mrs. Teo in memory chapel - Espichel Cape - Curious to discover the west side of Arrábida Natural Park, half day tour. 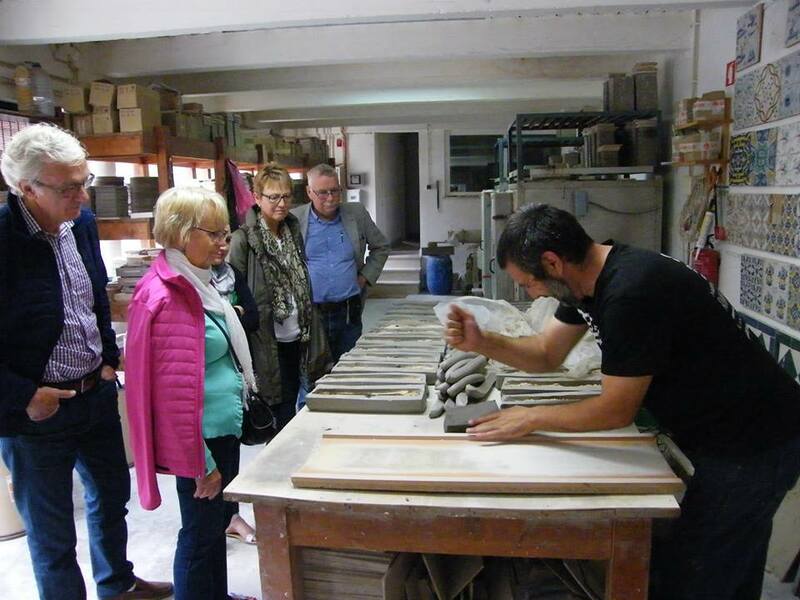 Local guide explaining the different ways to work tiles in "Azulejos de Azeitão" - Tiles Factory. 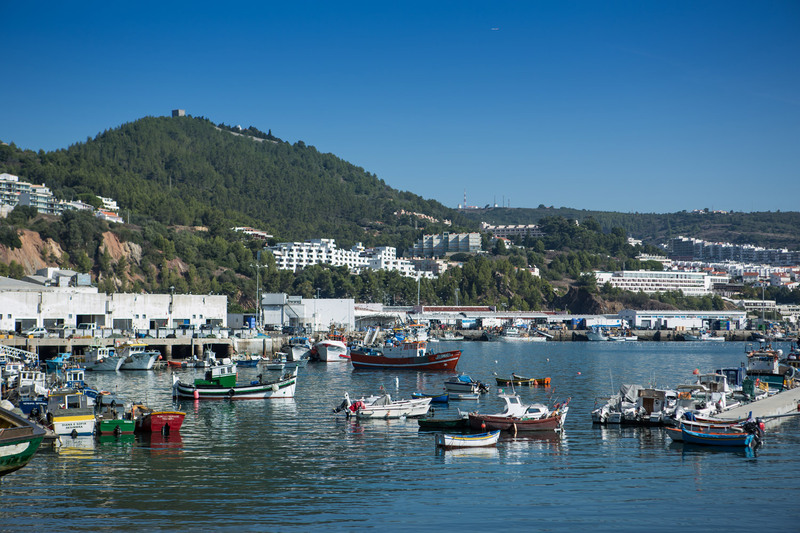 Due to its particular position at the Setúbal bay, near the mouth of the Sado River and its natural harbour, Sesimbra is an important fishing town. 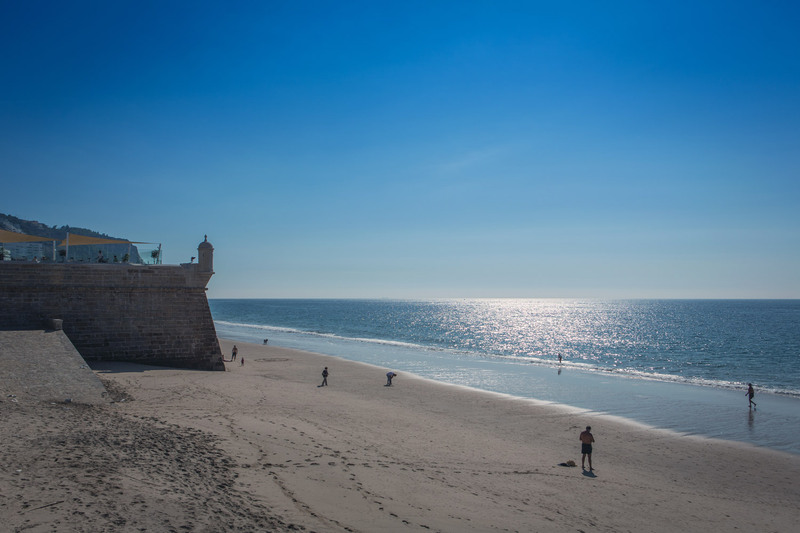 In the XVII century there were several cases of raiding and pillaging by pirates in Sesimbra, and it became imperative to built a line of forts along the coast to defend the local towns from Moroccan corsairs and Spanish troops. 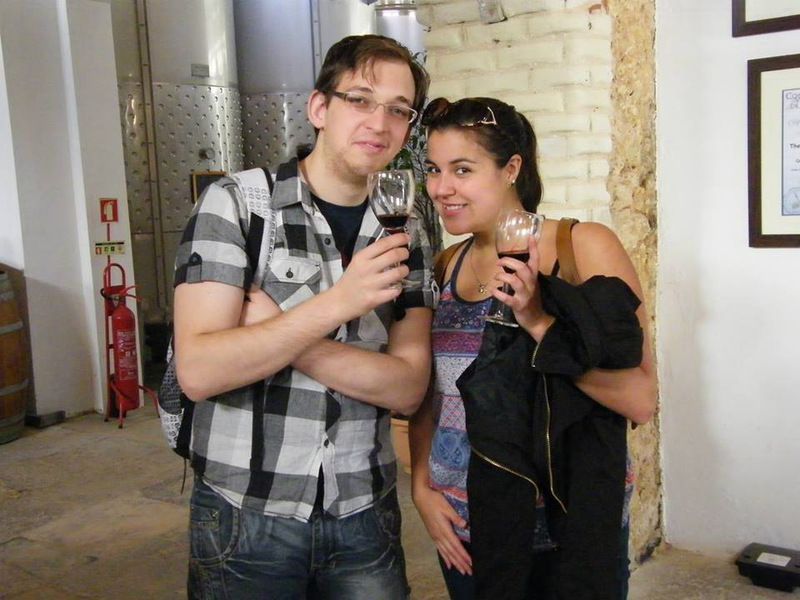 Perfect wine tour, ending in the famous factory of Azulejos de Azeitão. 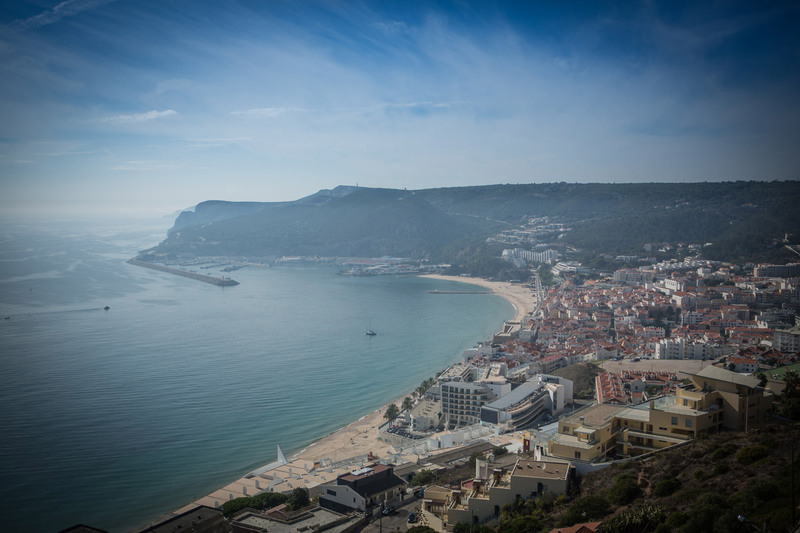 Besides professional fishing and sport fishing (mainly of swordfish), the most significant revenues in Sesimbra come from tourism. 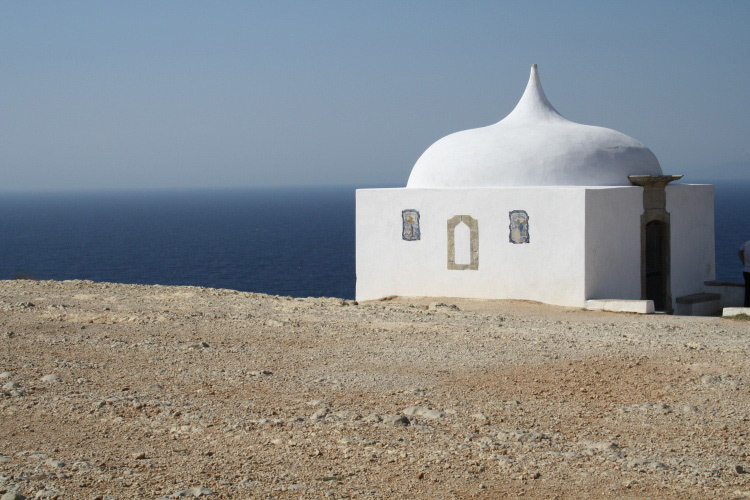 The town is famous for its beaches, fish restaurants and nightlife. 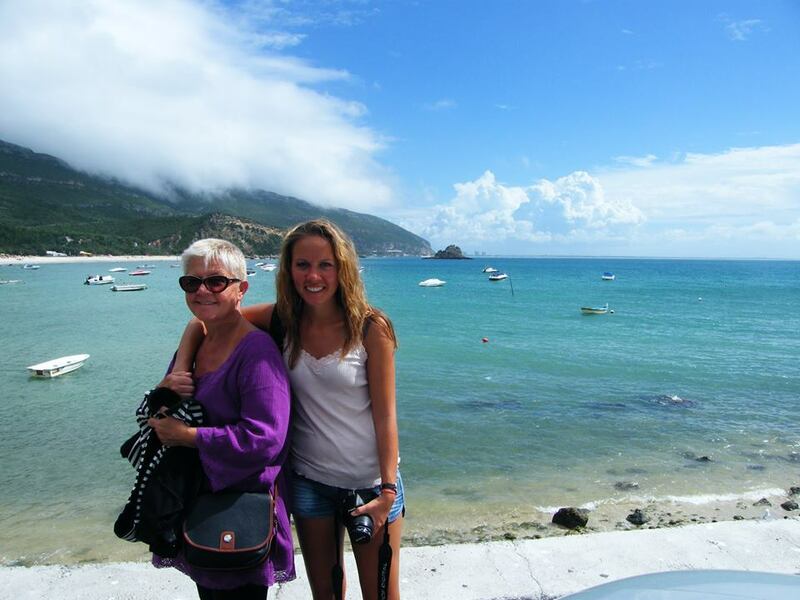 Portinho – Natalia Filkina and Tatiana from Russia In Arrábida Beaches Tour.Was a great day with interesting people , The beach lies adjacent to a picturesque village nestling under the south side of the Serra da Arrabida, here falling steeply into the sea. 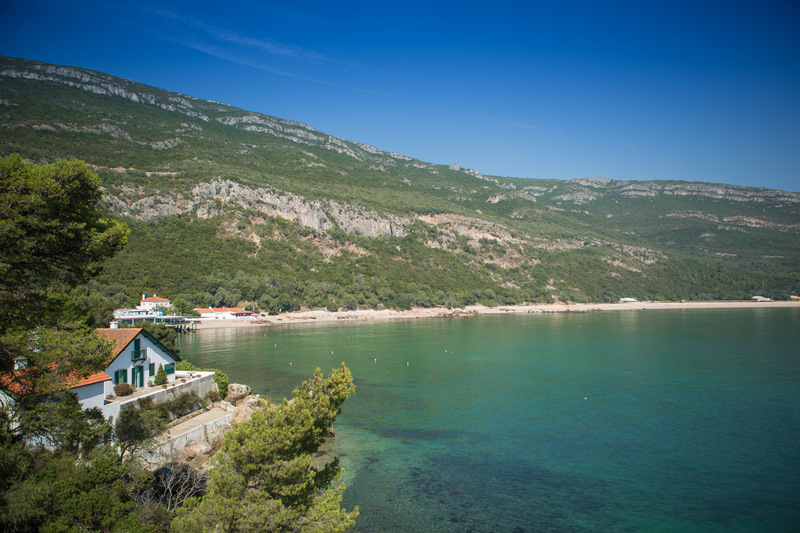 Thickly green, hilly and edged by gleaming, clean, golden beaches and chiseled cliffs, the Parque Natural da Arrábida stretches along the southeastern coast of the Setúbal Peninsula from Setúbal to Sesimbra. 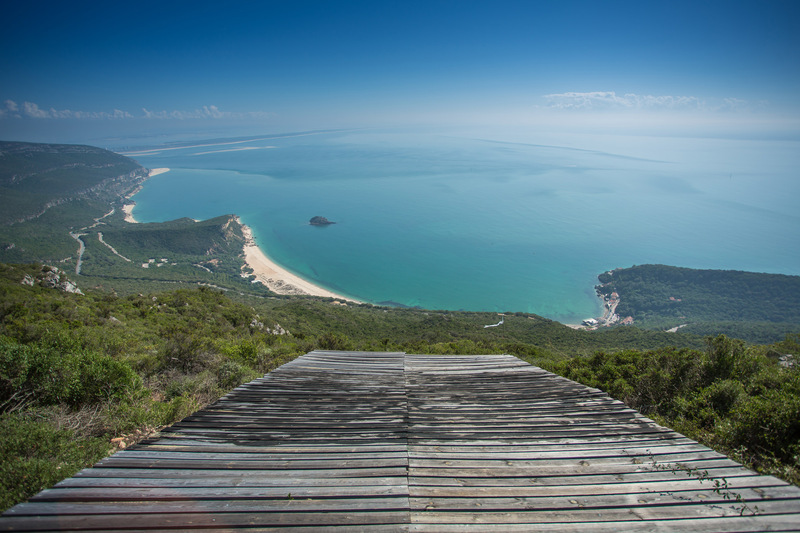 A short drive east of Setubal down tiny winding roads will bring you to one of the most secret beaches in this protected area. This delightful small beach nestled in a bay has calm, crystal blue-green water that is excellent for swimming and diving. 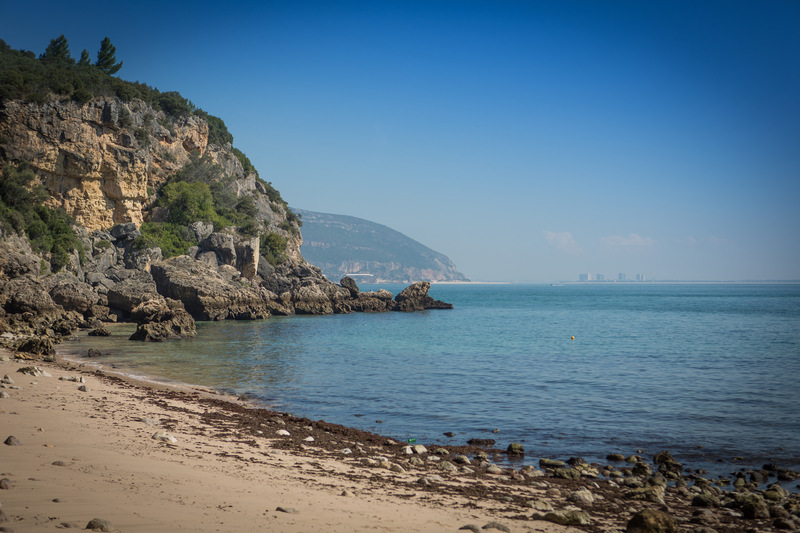 This protected area between Sesimbra and Setúbal is included in the European Network of Biogenetic Reserves. 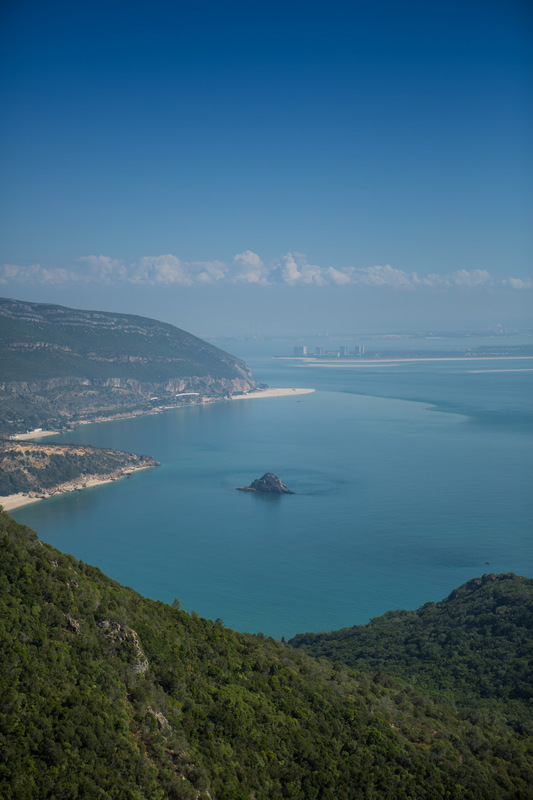 Arrábida natural park is also considered a paradise not only for lovers of nature, but also as an inexhaustible source of joy for geologists thanks to the various types of limestone outcrops and different sands. The aqueduct ends in mother House, was an important supply to the pilgrims and also during the religious festivities . 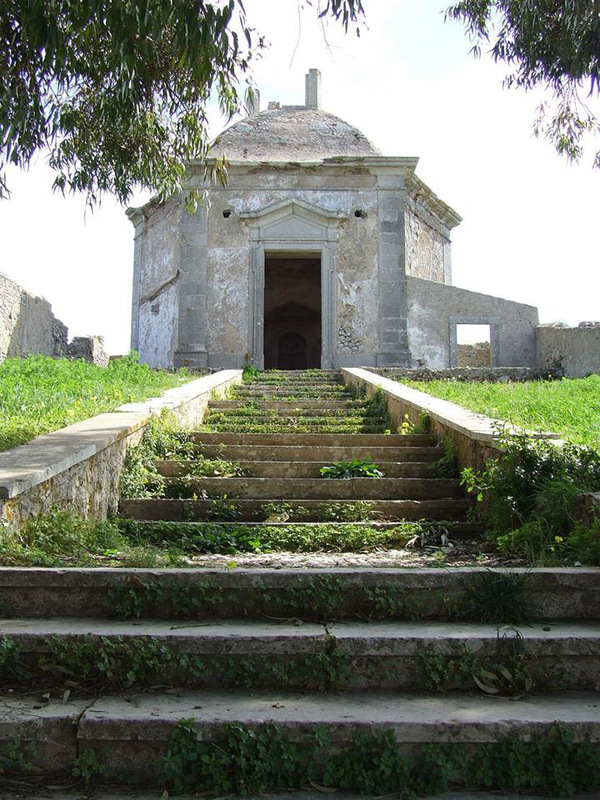 Ermida da Memória was built in the XVI century but which dates back to the early XIII century, and also the popular pilgrimage sanctuary dedicated to Our Lady of Espichel cape in the promontory of Espichel ( documented do have existed in 1366, but of an earlier origin), to which, since the XV century, periodic pilgrimages were organized coming from the both margins of the Tagus River. 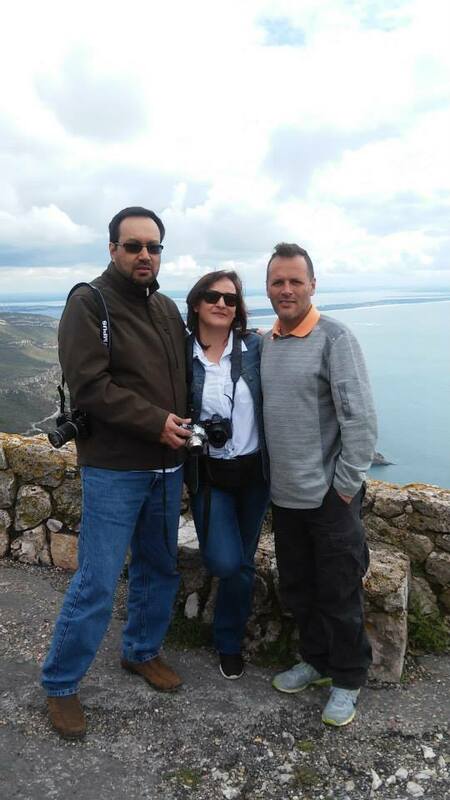 Standing in a magnificent location on the spur of Cabo Espichel. 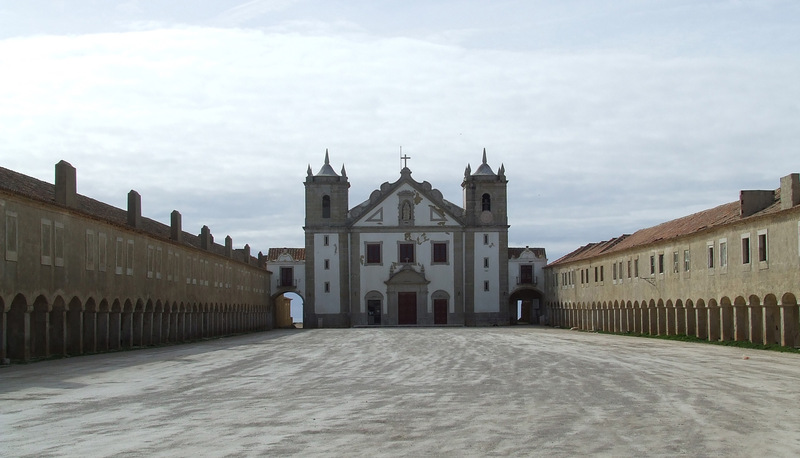 Sanctuary includes the small medieval memory chapel, Or lady of Espichel cape, the hostels, ópera House, the aqueduct and casa da água built during the XVIII century. Let´s go to contemplate the sunset in this wild beach located on the west coast of Arrábida natural park. 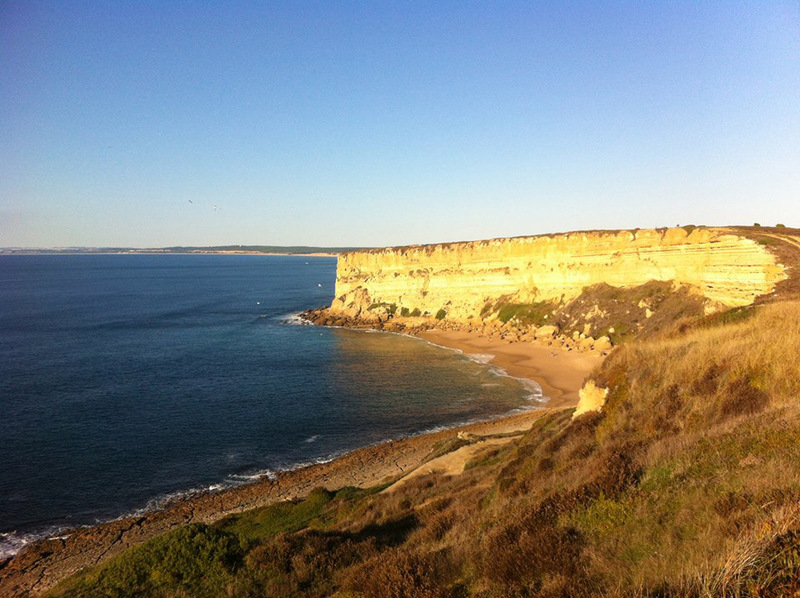 Located around 50km away from southeast of Lisbon, this seaside offers many sections with secluded spots, making it popular with nudist beach lovers. 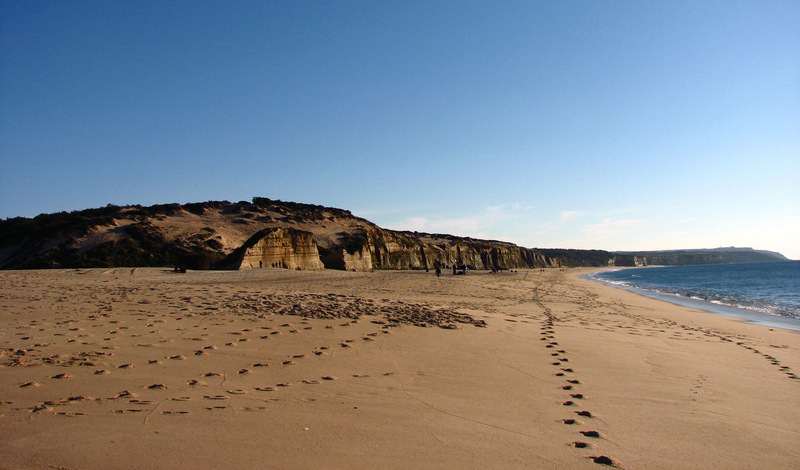 The adult nudists can enjoy their privacy without imposing on families, for whom another stretch of soft sand, on the opposite end of the beach, awaits further down the coast. Peninsula de Setúbal is a Portuguese wine region covering Península de Setúbal and most of the Sado River region. 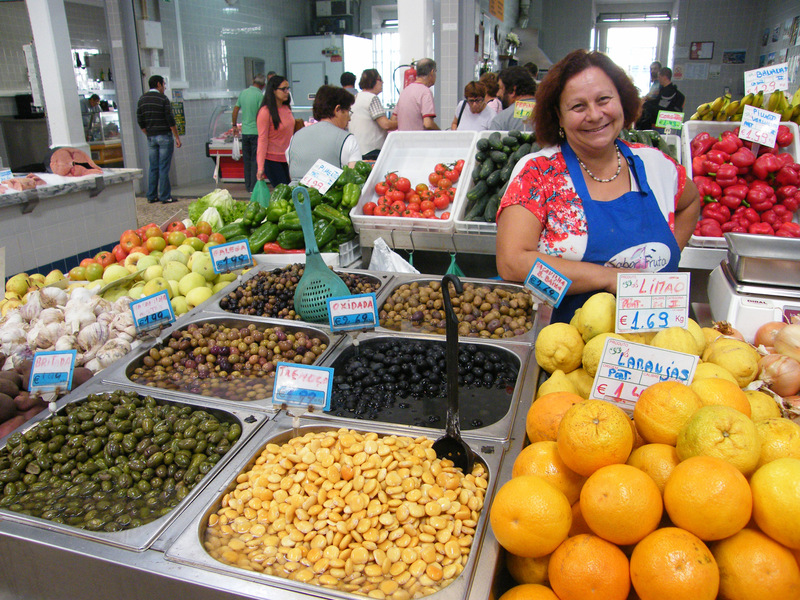 The “Livramento” Market in Setúbal is a must in the Arrábida full day tour, was considered one of the bests in the world . A huge variety local products from the Setúbal Region: The famous fresh fish, fruit and vegetables , bread, cheeses and regional pastries. 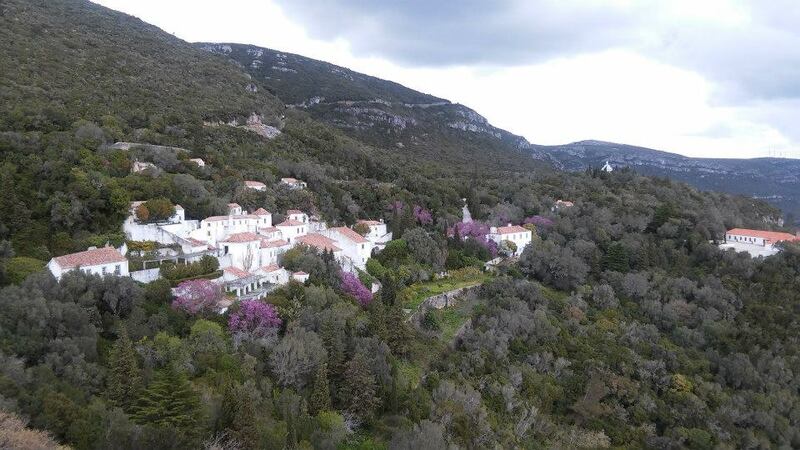 This castle offers a magnificent view over the plain situated between Tagus and Sado estuaries, as well as over the neighboring mountains of Louro, São Francisco and Arrábida. 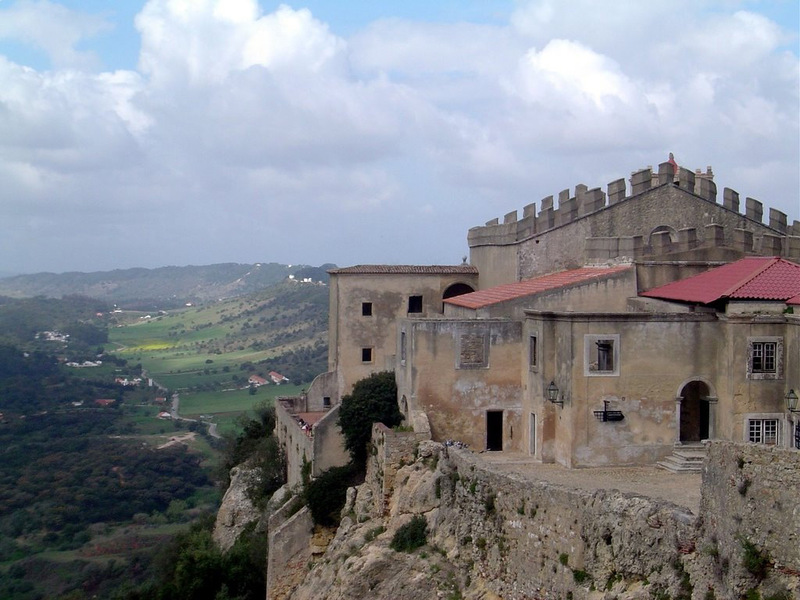 The castle was built by the Moors and occupied by the troops of D. Afonso Henriques in 1147. 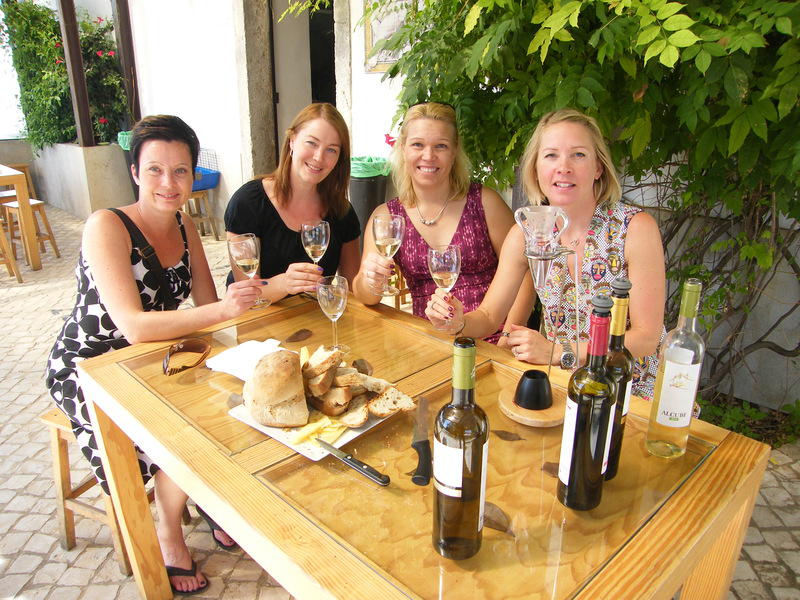 Portugal has a lot of grape varieties, producing a very wide variety of different wines with distinctive personality. 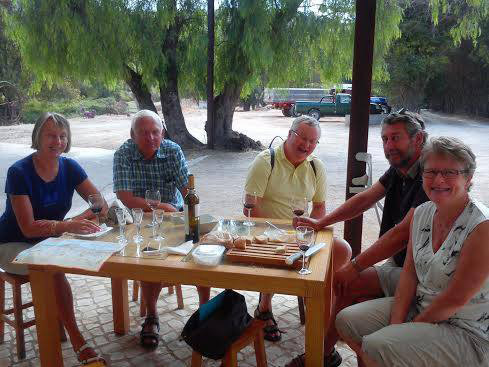 Young Spanish couple with us in a local farm In Azeitão. Wine is one of the most civilized things in the world and one of the most natural things in the world that has been brought to the greatest perfection. 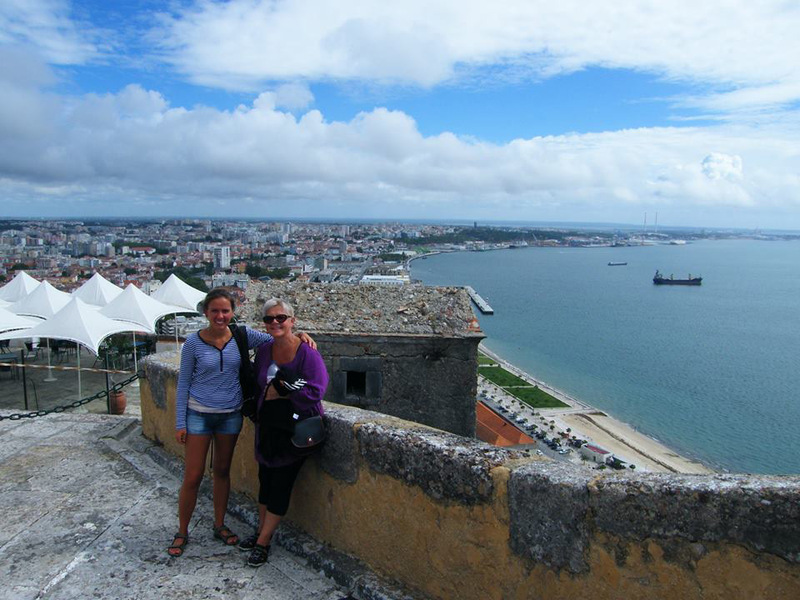 The Peninsula of Setúbal presents two types of landscapes. 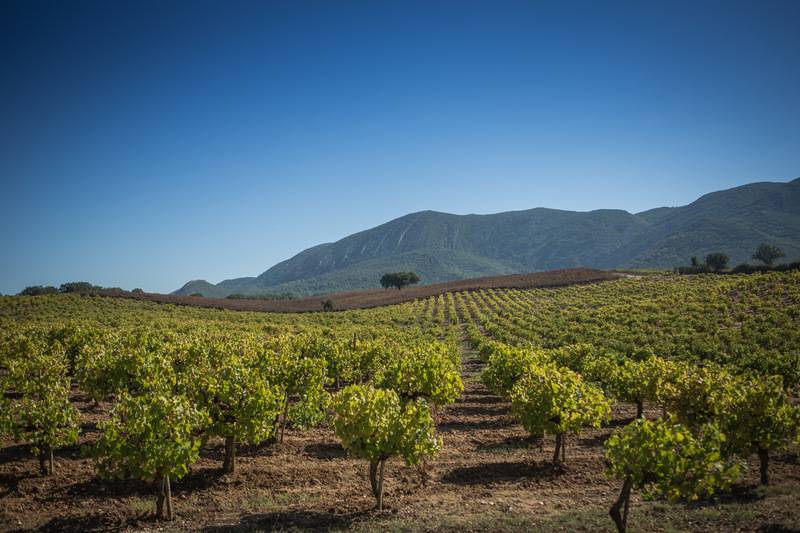 One with vineyards planted on clay-limestone soils, protected by the slopes of Serra da Arrábida, and the other covering flat lands or gently undulating soils composed of sand, poor and perfectly adapted to the production of high quality grapes. 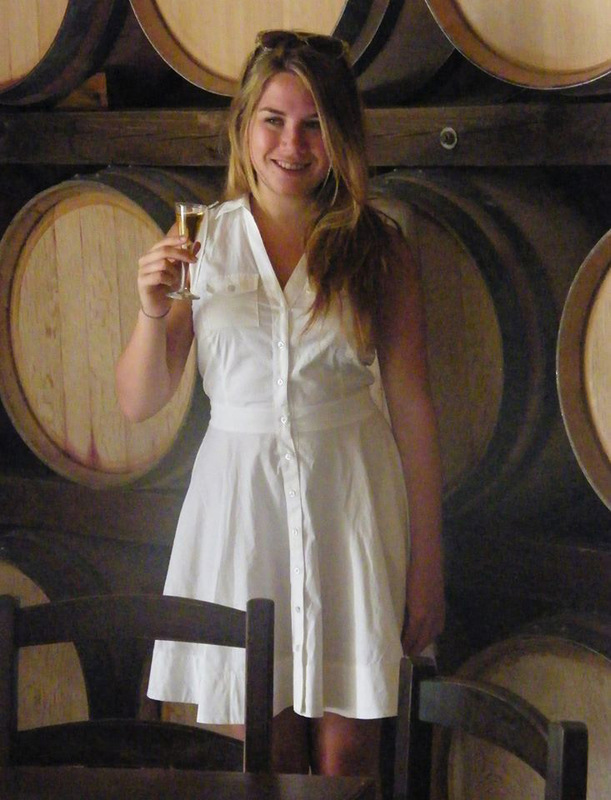 Discover with Look Around Tours the excellent quality of the varieties of Moscatel and Moscatel Roxo in our Arrábida Wine and Cheese Tour. The important thing is to not stop traveling. Curiosity has its own reason for existence. 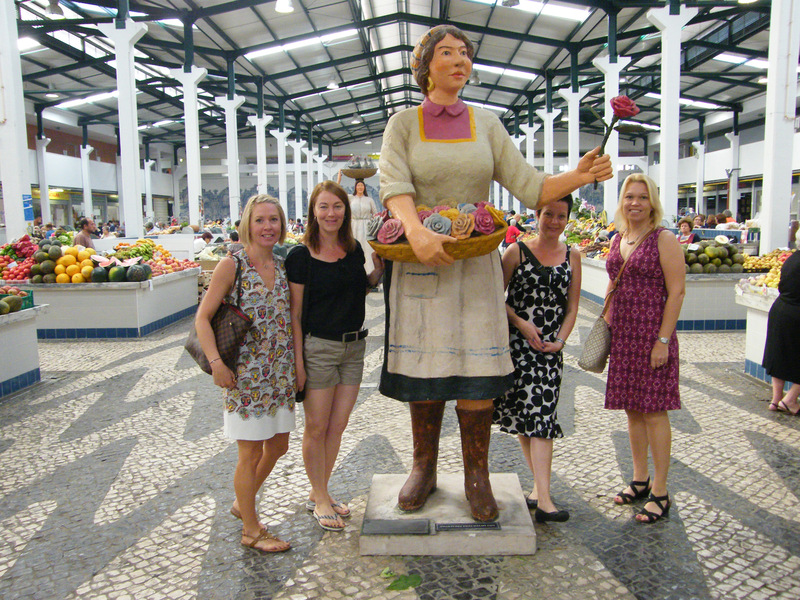 - Our group from Finland visiting with Look Around Tours, one the best Market´s in the world. "Livramento" market in Setúbal. 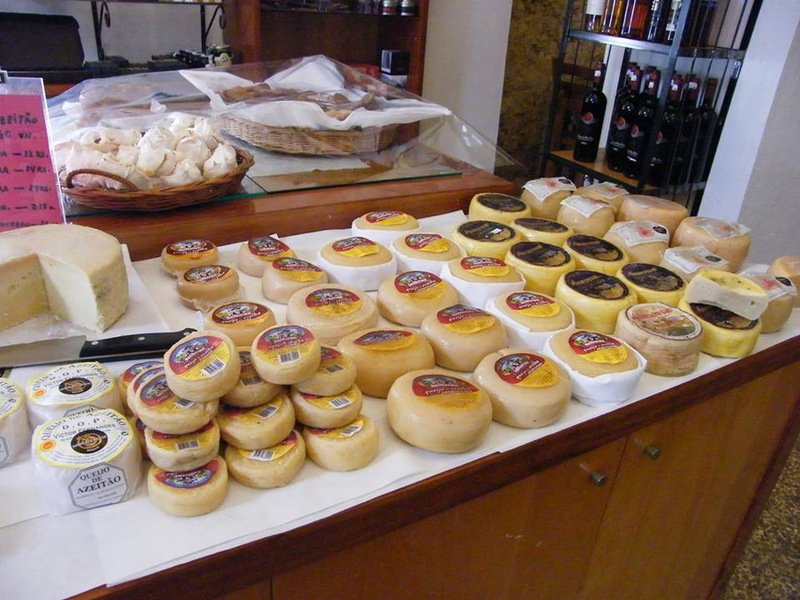 The Famous Azeitão Cheese has a semi-soft consistency, white or light yellow in colour, with few or no holes. 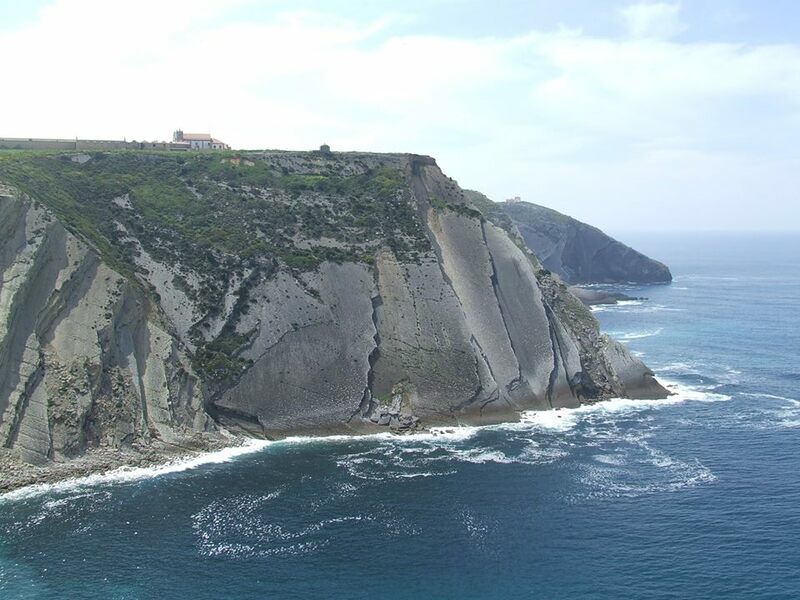 Produced in the subdistricts of Palmela, Sesimbra and Setubal. 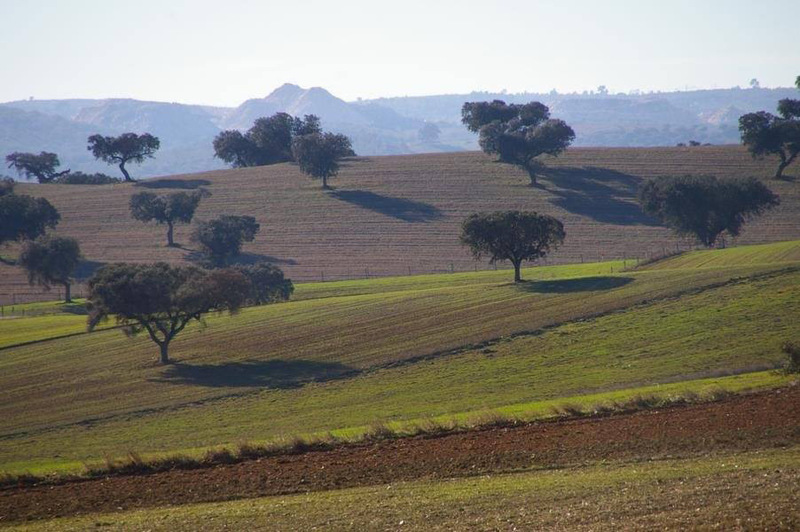 The beautiful Alentejo landscape is primarily one of soft rolling hills and plains, with conspicuous shrubs and the native cork oaks and holly/holm oaks, the established olive trees and grapevines. The region is the home of the world's most important area for the growing of cork. 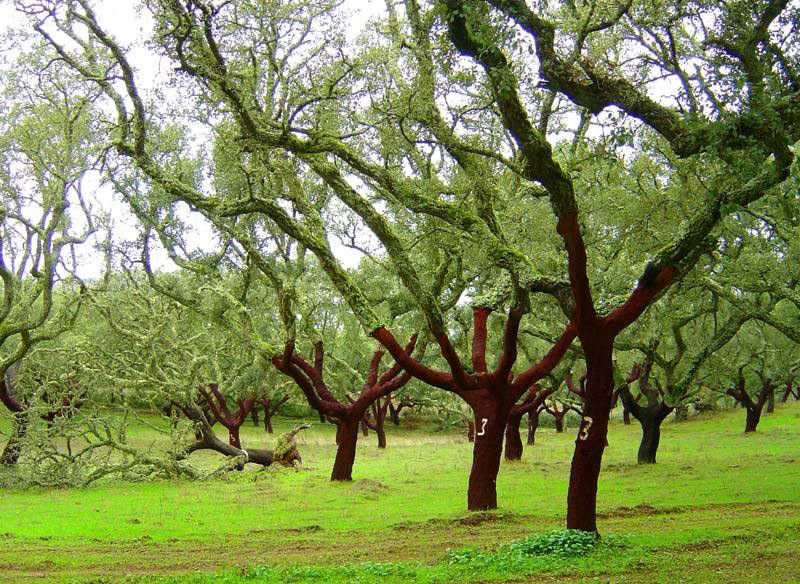 Cork-oak, known in Portugal as "sobreiro", has been grown commercially in the region for the past 300 years.